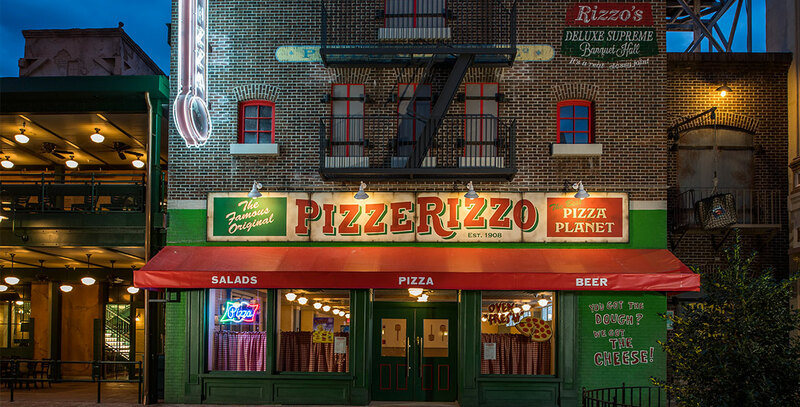 PizzeRizzo Opened November 18, 2016, at Disney’s Hollywood Studios. Personal-sized pizzas, along with other Italian favorites, are served in this two-story quick-service eatery. Rizzo the Rat from the Muppets is the proprietor. It took the place of Pizza Planet Arcade.